A virtual tour of the best estates in the Western Cape Winelands. As South Africa has become more and more one of the most sought-after destinations in the world, so the products of its Winelands have become the must-have on the tables of international fine wine and food connoisseurs. Once visited, the Winelands of the Western Cape are never forgotten and returning home, visitors yearn for the wines and specialities they enjoyed in this enchanted region at the foot of Africa. Here, on this site, they can once again order and enjoy their fabulous favourites and have them delivered to the door! As Swiss as a numbered account, but with roots in the hot earth of sub-Saharan Africa, HHH Wines was created specially to bring the best of Cape wine estate products to stylish Europeans living at the hub of the cool continent, who recognise the yin yang of life’s desires, and whose hearts crave the taste and aroma of Africa’s warm heart. The wines and olives are among the best the world has to offer, competing with and outstripping the products of Europe, Australia and North America for quality, innovation, and sheer joy in the pleasure of it all. 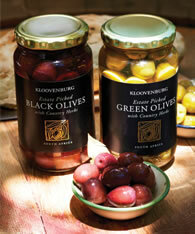 The products come from historic farms and estates across the tiny triangle at the base of the giant continent between the Atlantic and Indian Oceans, from the Swartland to the Boland. The black land and the highland with their Mediterranean climate that produces rich juicy harvests of fruit that have their origins far to the north of the equator, but prosper in the southern sun and gain their idiosyncratic Kaapse geur - the perfume of the Cape. The South African wine growing industry goes back to the time of the first European settlers at the tip of Africa. They brought with them a huge heritage of fine wines and found, in this strange and distant place, a perfect climate for the cultivation of vines and the production of fine wines. Its 'Mediterranean' climate was perfect for the production of traditional wines and later, other varietals that are entirely unique to the Winelands of the Western Cape. 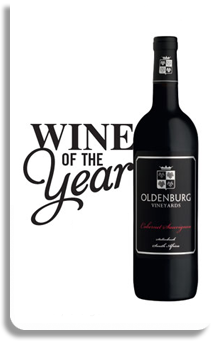 Oldenburg and Kloovenburg wine Estates our first features vineyards, have won many awards for their products over the years – their achievements speak volumes about their quality. Since 2001 Koovenburg wines have won huge numbers of awards including the Kloovenburg Shiraz Double Gold Medal at the 2008 Michaelangelo Wine Awards.And, a mere three years after its very first commercial vintage, Oldenburg Vineyards near Stellenbosch last year received a brace of gold medals on the international wine stage, making its commitment to producing fine wine clear for all to see.